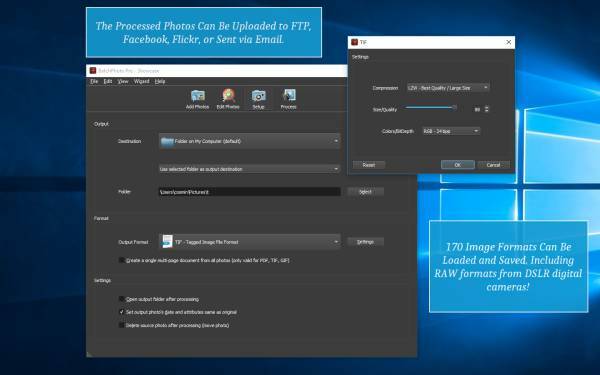 The original PNG images can be changed one by one to web-ready JPEG images with almost any image editor program. But if we handle dozens or hundreds of images, converting them one by one will be very laborious. 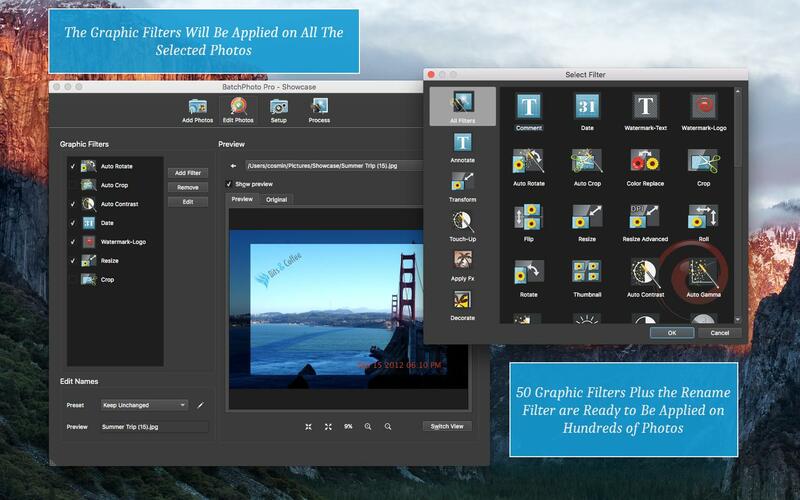 We don't think we've encountered many programs that are more versatile and intuitive than BatchPhoto. The most well-know and used file format for storing digital images is JPEG, also known as JPG. JPEG stands for Joint Photographic Experts Group JFIF image format and uses a lossy image compression algorithm. A lossy compression algorithm means image data will be lost every time the image is saved. However, the resulting picture will often be indistinguishable from the original, with the human eye. 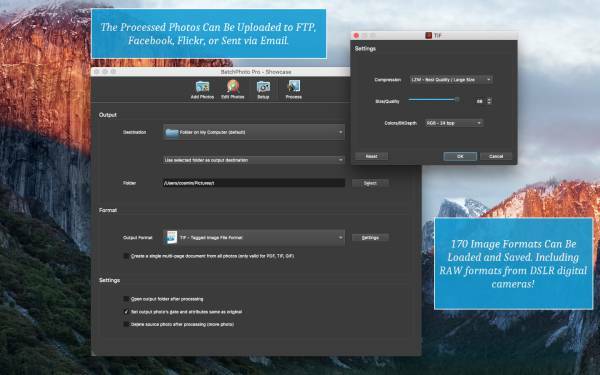 If multiple edits are applied to the same photo, with data being lost every time the image is saved, it is necessary to keep a backup copy of the image in a lossless compression format like PNG. PNG is the short-hand for Portable Network Graphics and is a well know Internet file format for storing unaltered and high-quality images, like the graphic elements of a web site template. 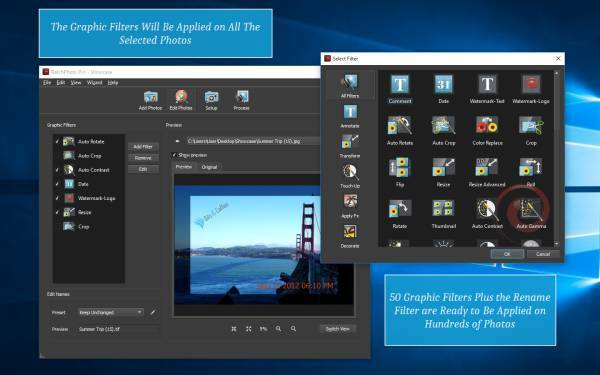 Instead of changing images one by one, we could use a specially designed batch editing software capable of converting hundreds of images in one operation. Introducing BatchPhoto, a specially designed software program for changing image file formats in bulk mode. 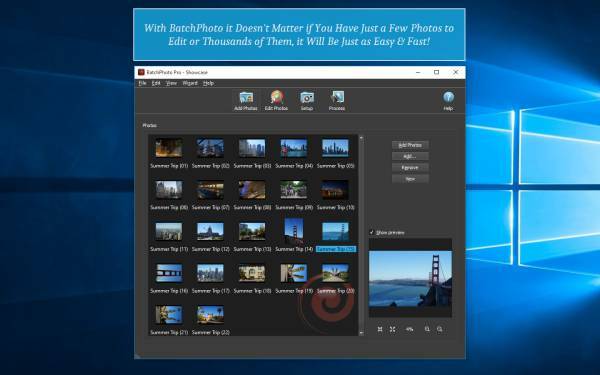 BatchPhoto can read and write 170 different image formats, including JPG, PNG, TIF, GIF, BMP, PDF, TGA, and RAW formats. The program can convert hundreds of images very fast, by taking advantage of multi-core processors. Additional operations can be applied at the same time, including: Rename, Change Image' Sizes, Annotate with Comments, Date/Time, Watermarks, and much more! But you can try BatchPhoto fully-featured for free and see for yourself if it's what you need. Just click on the "Try Free" button below! Convert images' format in batch mode by following a three step wizard! 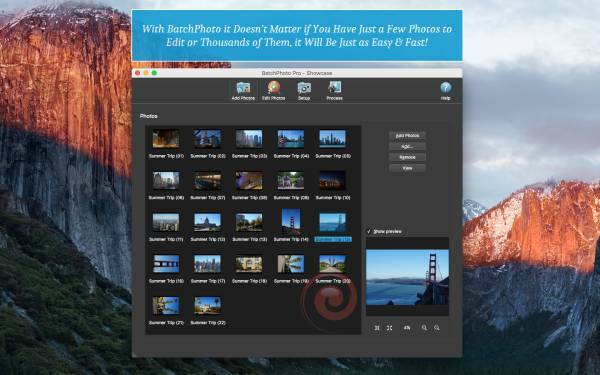 Note: BatchPhoto works on Windows® 10, 8.1, 8, 7, Vista, and XP as well as macOS® (OS X) Sierra (10.12), El Capitan (10.11), Yosemite (10.10), Mavericks (10.9), Mountain Lion (10.8), and Lion (10.7). Copyright © 2005-2019 Bits&Coffee™. All Rights Reserved.